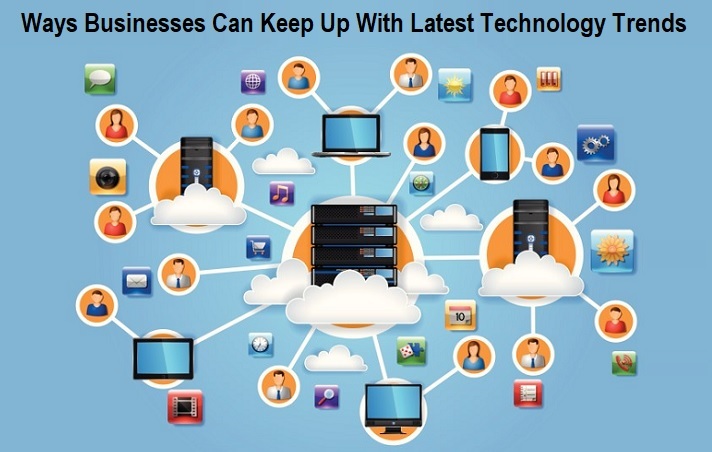 If you want to be a successful business owner, you need to ensure that you keep up with technology. This is not just technology that relates to your business but technology that relates to business in general; after all, although some aspects of your business are going to be unique to your sector, others will be more generic, particularly when it comes to finances and customer service. Staying up to date with all the changes that take place on a very regular basis will show your customers, clients, and suppliers that you understand the need to be at the forefront of new ideas. It will give them confidence in you, knowing that you are interested in what is happening in the world of business. It will also show them that when they buy a product or service from you, they will be getting the most modern and the newest versions. So just how can you keep up with all the changes that are taking place in the world of technology and the world of business? Read on to find out. List out everything that is the most important in your business – what is it that you use the most? From smartphones to laptops to content management systems, there will be some tools that you simply cannot manage without. It is these tools and the areas in which they work that you need to think about most of all when it comes to keeping up with technology. Different people within your organization will have different skills and qualifications. At least one person will be ideal when it comes to collating all the information together about updates and new ideas and presenting it to the rest of the company on a regular basis. Aim to employ an operations manager, ideally someone who has an operations management masters degree to organize the different systems within your company. They will need to create a spreadsheet or similar document that lists out all of the areas that you feel you most need to cover (as mentioned above) and bring together all of the updates that they can find in one place. Having a monthly meeting to go through everything will keep all employees up to date and ensure that the most important new elements are implemented in a short amount of time. One of the easiest ways to keep up to date with everything that is happening, even when it is moving extremely fast, is to set up alerts online about them. Using Google to do this makes it very simple; you can set up Google alerts quickly, and be sent an email every time new information about whichever sectors you are most interested in are published. This can be the best way to ensure you don’t miss anything, although it is always a wise idea to follow up on everything you see to check that it is accurate. Sometimes articles posted online are not correct, and you don’t want to get the wrong information. Attending conferences can also be an excellent way to find out more about recent and upcoming new technology. Attending conferences that relate to your business sector is a good way to start. Not only will you find out what is going to happen and how you and your customers can benefit, but this is also a great time to network with other people in your industry. There are a variety of ways to get information at a conference. There will be talks and workshops, plus networking as we’ve already mentioned. You will also be able to browse the exhibition stands that will be showcasing exactly what technology is available. Take the opportunity to speak to the people who have created or are selling this tech to find out as much about it as you can. This might be your only opportunity to do so, so it is important to discuss it where possible to ensure it is something you will be able to implement. You know that you will need to spend money on new technology when it arrives if you want to be the most up to date business in your sector. Some tech is going to be very expensive, and another tech is going to be much less so. It is going to depend on a number of different factors such as what the usage is going to be, how long it took to develop, and how niche the product is. No matter what you are thinking of purchasing, it is a good idea to have a budget in place first. Having a budget that you carefully stick to will mean you can buy what you need to, and you’ll be wary of buying anything that isn’t strictly necessary. Therefore, you will be more willing to carry out research before you invest in anything at all. There will always be someone who tries new tech before anyone else. These people are known as ‘influencers’ and they are to be found on all of the social media channels. It is likely that there is an influencer related to your own industry, so if you want to keep up to date with everything that is happening, including the new technology that is coming along, it is worth following these people on social media such as Instagram and Facebook. They will showcase the new ideas, and you will be able to get a preview of exactly how it could help your business.